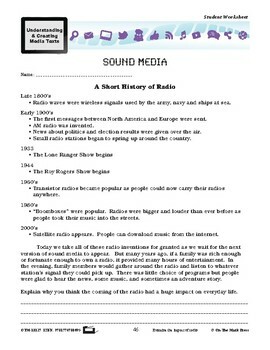 This lesson plan has a short history of radio. 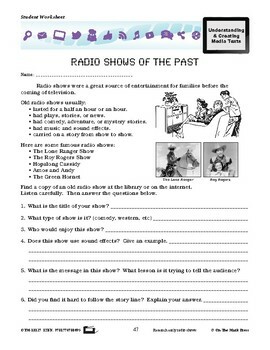 Your class will study radio shows and radio ads of the past and answer questions about them. 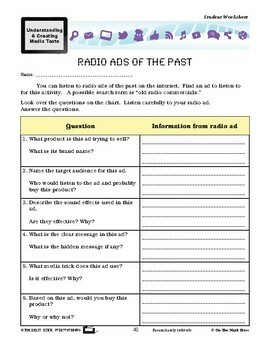 There are activities on radio ads of today and creating your own radio ad and radio show. 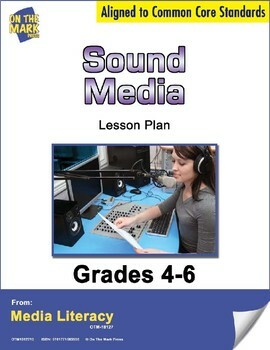 Meets Common Core by examining the impact of radio, researching early radio shows, researching early radio ads, examining a radio ad of today, creating your own radio ad and creating your own radio show.